Home Central America Nicaragua Nicaragua in 2019: Time for Change? Nine months into the Nicaraguan sociopolitical crisis, the country is looking at a difficult year ahead. It faces a government who has shut its doors to everything but repression. 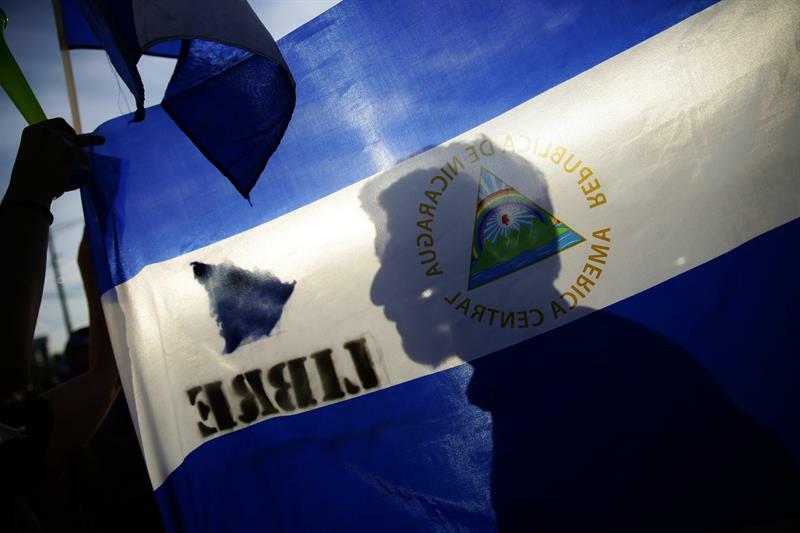 There are at least six trends that will impact political outcomes in Nicaragua in 2019. Their combination, evolution, and interaction with key stakeholders will determine scenarios for either further deterioration or for positive change. Nicaragua needs strong incentives to prevent a debacle that would cause irreparable damage. It’s not good for anyone – not for Nicaraguans, Daniel Ortega’s political circle, the great capital, nor the international community – for the country to be left in ruins. Ortega’s leadership style since April 2018 has excluded any type of political agreement or negotiation and has demanded from everyone blind loyalty to the regime. Unfortunately, Ortega’s only way of governing at this point is through force and coercion, which he is betting on for 2019. The intention is to maintain power through police and military force, using the legal system to intimidate and control opposition, dissidence, and protest. The monopoly of power and the legal and military approach that the regime has taken allows ample maneuvering room to stay in power through fear. This political model, although unsustainable in the long term—because it depends on a certain degree of capital and political clout—it is one of the few remaining resources that the regime has. The Ortega-Murillo family intends to keep intimidating, imprisoning, and torturing the Nicaraguan population and violating their human rights in 2019. Their aim is to weaken the economic and political elite and wear down the population, such that eventually it gives up, stops resisting, and accepts any type of transition offered by Ortega and Murillo. Despite facing repression, surveillance and intimidation, the Nicaraguan Opposition at the hands of the Unidad Nacional Azul y Blanco (UNAB) will remain an important and legitimate voice for change. During a political rearrangement and transition, it continues to move forward with fresh, representative leadership, a proactive agenda, and stronger partnerships. The Ortega-Murillo regime believes that maintaining an absolute monopoly of power will guarantee them control over the resistance. However, they are underestimating the opposition: the Blue and White Unity is legitimate, has resisted, and has grown stronger. Its message has been consistent and unwavering. The leadership that emerges in the next months will strengthen a coalition that is diverse in terms of the social groups, economic classes, and interests that it represents, bringing together different social, economic, and geographic contingents in a country that already supports it greatly. The goal is to resist repression and threats from the regime, and at the same time continue to support and pressure for political reforms, while gaining international recognition. The type of political agenda and the negotiation put forth by this movement will be of fundamental importance as a means to gain further popular support in the short run. Nicaragua’s economic deterioration in 2018 is more profound than its -4% growth suggests. For Nicaragua to recover to 2017 levels (levels that on their own were already insufficient to foster economic development), it would need a cash influx of at least $1 billion over a short period of time. Meanwhile, losses in production, access to markets, and international confidence, among other things, are structural factors that affect an already fragile economy. The regime’s economic strategy is a throwback to the 1980s, seeking to rule with a political economy based around low levels of production as long as Ortega’s clientele is fed. This “rice and beans” approach contrasts with the reality of a dire social and economic situation, with few scenarios for recovery in the next 12 months. Moreover, the Nicaragua of today is not the Nicaragua of the 1980s. In the 21st century, access to finance, to the global economy and competitive employment are factors that define economic growth, and not the context of heavy subsidies and access to Soviet support that prevailed during the revolutionary crisis in the 1980s. While it is true that the economic crisis affects the population and the private sector, politically it is affecting the government even more. The government is essentially left with empty pockets and few resources to pay its employees (despite promises of a pay increase for the Police). The regime will be making use of international reserves and ‘extra money’ or ‘hidden reserves,’ but it is practically digging up whatever it can mine to find resources. Daniel Ortega didn’t read “The Patient Impatience” by Tomas Borge very well. He didn’t understand that the limits of tolerance are broad, and that tolerance itself is not passive. Nor did he understand that when these limits are set too narrowly, they can end up being justly transgressed. Unfortunately, the specter of armed conflict should not be underestimated. While it is true that the political resistance owes part of its great success to its nonviolent nature, there now is a critical mass of people who can no longer endure this repression and believe that armed violence is the fast track solution to political change. The problem is that some people may end up in confrontations with the Police or may incite an uprising within the Army (which is not unified, despite General Julio César Avilés’ efforts), or use foreign territories to attack. While this risk is the exclusive responsibility of the regime, everyone ought to feel an obligation to prevent an armed conflict. After all, this outcome would ultimately play into Ortega’s hands, because Ortega wants to keep ruling in a state of ‘prolonged war,’ the third phase of political control after repression and the “rice and beans” economy. Albert Hirschman wrote that people have three possible options at hand: exit, voice and loyalty, that is, to migrate or opt out, to protest, or to accept the status quo. Pressure and repression highlight the most primordial aspects among human beings, a sense of physical self-preservation, the belief that from now on what matters most is saving oneself. The ‘every man for himself’ syndrome manifests itself in three areas: migration, dissidence, and accommodation. This repression has succeeded in expelling some people under direct threat or fear for their lives. In 2018, more than 60,000 Nicaraguans fled the country in the midst of political and economic collapse. Many have found refuge in Costa Rica, and given the continued deterioration, more people will flee in 2019. Although political dissidence will also start to disband, Daniel Ortega’s empire, which was preserved through intimidation, force and blackmail, is starting to crumble. The political and economic elites close to the regime are rethinking things and deciding to jump ship. For some, like Rafael Solis, the “patient impatience” is already over, and the regime has become politically and morally indefensible. For others, economic interests do not surpass the political cost of sanctions against the government and the Ortega-Murillo family. Whether a matter of principle or pragmatism, dissent is growing. Bruce Bueno from Mesquita explains that dictators stay in power by keeping a small power circle, which they provide with protection in exchange for loyalty and not being replaced by others. However, fissures occur when the allies get ahead of the dictator and opt out of the regime. This trend will increase in 2019, despite the regime’s promises of political and economic favors. Finally, there are grave economic concerns: the very precarious situation in which the business class, including large, small and micro-enterprises, find themselves may force them into making bad decisions. Some will want to get cozy with the government as a short-term strategy; others will try to get into the illegal economy, like the situation in Venezuela, trying to launder money to sell to the government in their desperation. Shifting organized crime networks in the region could take advantage of this situation. This survival strategy is key for the 2019 outlook and could go either way, both in favor of or against the country. The OAS started the year off with a fourth meeting looking at the situation in Nicaragua. Its interpretation of the conflict has been consistent and increasingly convinced that Nicaragua’s constitutional order has been altered. The OAS, however, is not the only international stakeholder that is mobilizing in favor of change. Nor is the United States. The United States has proactively established a foreign policy strategy towards Nicaragua that includes sanctions unless it carries out and commits to the political reforms it has promised. Sanctions are a measure that has been implemented to put the Nicaraguan government in check. The sanctions have implications that go well beyond the cancellation of visas or putting names on the OFAC list. They include putting together a criminal case on human rights violations. The Ortega-Murillo family has underestimated the United States and talk of blaming them for staging a coup will not get them far. At the same time, other countries such as Canada, Costa Rica, El Salvador, Spain and Mexico who along with the United States represent more than 70% of trade, tourism and remittances have not reacted positively to the Ortega regime. Though El Salvador has held off on criticizing it, the country is expected to elect an adversary to Ortega in the upcoming February 2019 elections. International condemnation regarding the despotic nature of the regime goes beyond its main trading partners. It also includes the Nicaraguan diaspora, whose international pressure is important because it has diplomatic ties, a global presence, and economic capital that affects the survival of the regime. The combination of these trends generates scenarios and clues as to the direction that Nicaragua is heading. In the face of growing international pressure, a more defined opposition leadership, and an economically weakened government facing emboldened opposition, the repressive capacity of the regime will not be enough to keep it afloat. However, if Ortega is betting on armed confrontation with those hoping for a fast track solution, Nicaragua may enter a violent period over the short term, creating even more divisions in a country that still has many wounds from the past. Only if dissidence stops, international pressure turns out to be ineffective, and the opposition is completely neutralized through fear and torture, can things be expected things to continue as they have been in 2018. The key question is really if Daniel Ortega and Rosario Murillo want to repeat the history of William Walker, reducing the country to ashes before they leave.